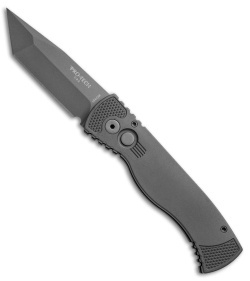 The Tactical Response features a grey coated tanto 154-CM rescue blade with a plain chisel grind edge. The handle is gray anodized T-6 6061 aluminum with areas of engraving to create traction. 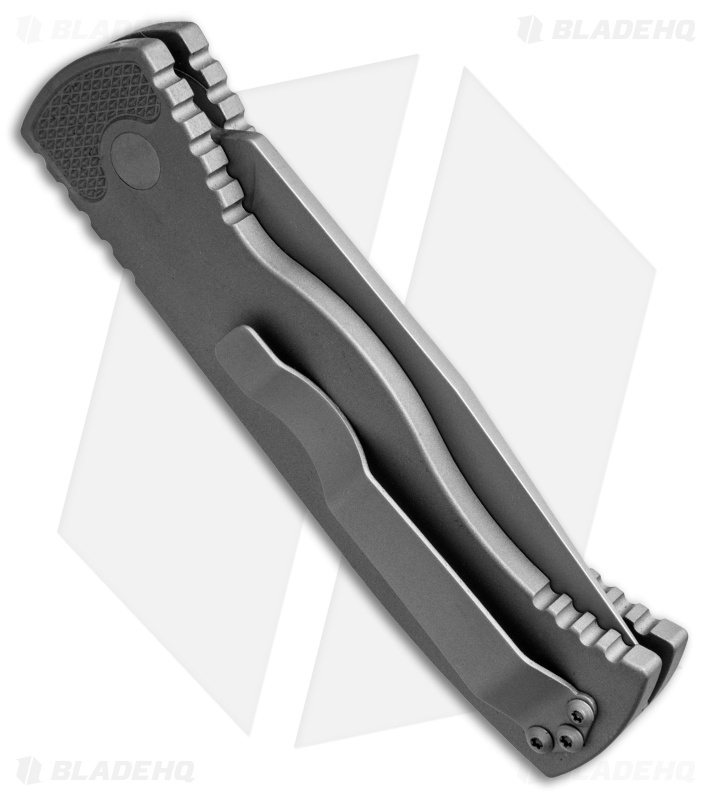 This knife fires hard, locks up like a rock and feels great in your hand (what else would you expect from Pro-Tech?). 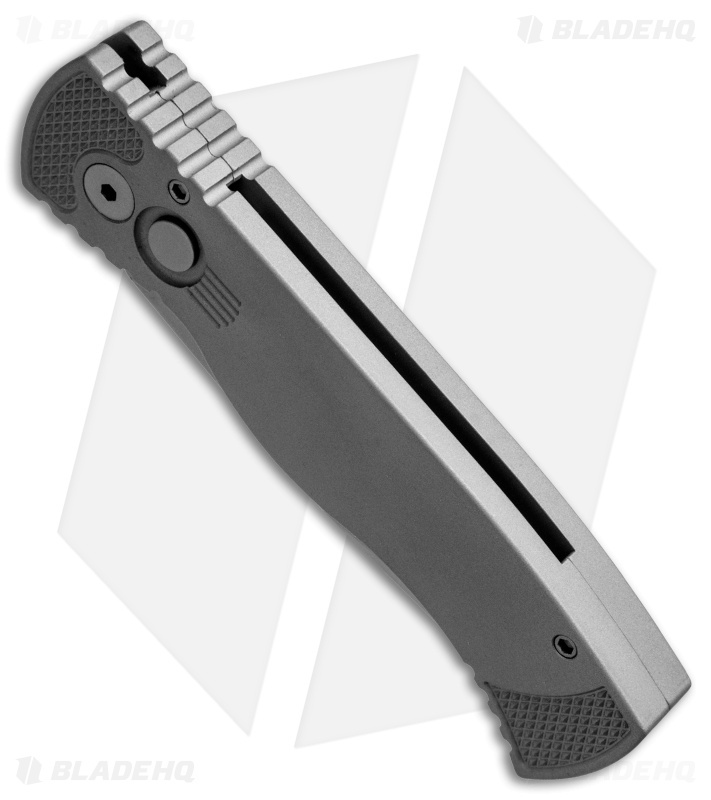 The slim design rides well in the pocket and the knife features a convenient pocket clip for carry.